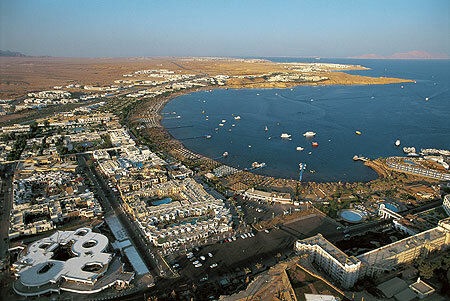 Sharm el-Sheikh is located on the southern promontory of the Sinai peninsula. Sharm el-Sheikh is an extremely cultivated, exclusive bathing resort which is very popular with tourists. The exclusive hotels and restaurants are situated in the famous Naama Bay, with the noble residential area of Sharm el-Sheikh to the north. The holiday resort is famous for its abutting coral reefs, which are considered some of the most beautiful and species-rich in the world. The reefs are home to well over 100 different types of coral and a unique diversity of fish. An absolute must for divers, snorkelling tourists and water enthusiasts!